Can you reveal your health by simply examining your tongue? Actually, your tongue can tell you a lot of hidden information about your body. In this article, I'll tell you what you need to know on how diseases can be found by observing your tongue. Currently, diagnosis of diseases is widely being done through medical blood test and CT scan. Traditionally, body and facial color, including the eyes, tongue, and even pulse, has been used to determine and diagnose abnormality in the body. These methods are currently being done in Traditional Chinese Medicine and even in modern medics. Tongue diagnosis effectively works as a health watchdog. Firstly, a healthy human tongue is pinkish in color and is gently moist with a light coating just like the photo below. A tongue that is unusual in color may be an indication of some problem in the body. Lack of water, vitamins, stress, and fatigue, can also lead to slight color changes of the tongue. Observe the patient's general activities. Observe the patient's vocal problems. Diagnose the symptoms and cause of illness, family health, life, and work environment. Pay attention to other circumstances related to the disease. Finally, “pulse diagnosis” is also performed in conjunction with tongue diagnosis. They are both considered important diagnostic tools in Chinese medicine and are used to plan your treatment. Pulse diagnosis however, is quite difficult to perform and you should have at least a simple knowledge and experience with this technique. Nevertheless, pulse diagnosis provides immediate and valuable information about the changes happening in your body together with tongue diagnosis. Generally, monitoring your health condition by looking at your tongue is a basic, easy to learn form of diagnosis while providing you quick result. The tongue is quite useful in tracking the progress of your illness, and also helps in preventing it. Orthodox doctors perform tongue diagnosis to detect and effectively spot symptoms based on scientific evidence. In Chinese medicine, it is believed that the tongue closely reflects the condition of your health. It acts like a map wherein specific areas of the tongue links to specific organs of your body. When your body is healthy, your tongue also appears active, clear, and healthy. Since the ancient times, Chinese believe that tongue is like a mirror reflecting the nature of our body. If you have yellow coating on your tongue, then you may have a fever or a stomach problem. 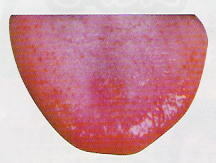 A pale pink tongue could be an indicative of an illness as well. Like fingerprints, every tongue has its own print. The tongue is the strongest muscle in the body and is the only muscle that is connected on one end. 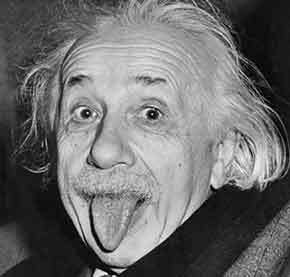 The current world record holder for the longest tongue is Stephen Taylor (UK), whose tongue measured in at 9.5 centimeters as of 2006. The muscles in the back of your tongue are responsible for making particular sounds like the hard “g” sound and the letter “k”. Your tongue keeps working to push saliva into your throat even while you're sleeping. The most common location for bad breath is the tongue. Almost half of the bacteria in the mouth live on the surface of your tongue. Tongue piercing has been around and practiced since the ancient times by some cultures as a ritual symbol.